Today we'll be talking about why, how & what to learn by ear as well as talk about transcription. First, let's get one thing out of the way. It seems the word "transcribing" has been used for describing the proper meaning of the word, that is putting down on paper something you hear, as well as "learning by ear" without necessarily writing it down. You can't transcribe without using your ears however you don't necessarily need to write it down (make sure you read whether or not you should write down what you transcribe below). (Note: you'll find the rules of the giveaway at the end of this article). There are many great reasons to learn by ear. First and foremost, if you want to learn how to improvise in a jazz idiom (or any other for that matter) there is, simply said, no other way to do so. It is a proven method of learning a language, which music is a kind of, and has been for as long as oral language has existed. As a polyglot, I have to admit that having an understanding of theory - grammar, vocabulary, sentence structures, etc. - definitely helps learn a language but there is no replacement for listening and speaking. Immersion, practice, trial and error are the only way to truly master a language. Another of the greatest benefits is that I will sharpen you ear. To continue with the language analogy, you have to listen in order to be able to speak a language. At first, you won't be able to distinguish much in an unfamiliar language. Words, sentences, will at first sound like gibberish, blending with each other. However, as you find yourself constantly surrounded by an unfamiliar language and attempting to communicate, a veil will gradually be lifted as your brain puts things together and creates the neural connections required to organize, process and use the fundamental pieces on which this language is built on. Finally, writing down what you hear, if you decide to do so (more on this below), will reinforce or develop your sight reading abilities, just as writing and reading words work in tandem to develop both abilities. The first step of learning by ear is in its simplest form listening and recognizing pitch, rhythm, inflections and dynamics. You could very well stop there and most of the time you should. Although it would not be technically correct to call this "transcribing" as the word implies writing down what you hear, this is the most beneficial aspect of the process. You wouldn't ask a child who's learning to talk to write down what he's learning. Instead, a child will repeatedly listen to & attempt to imitate language. 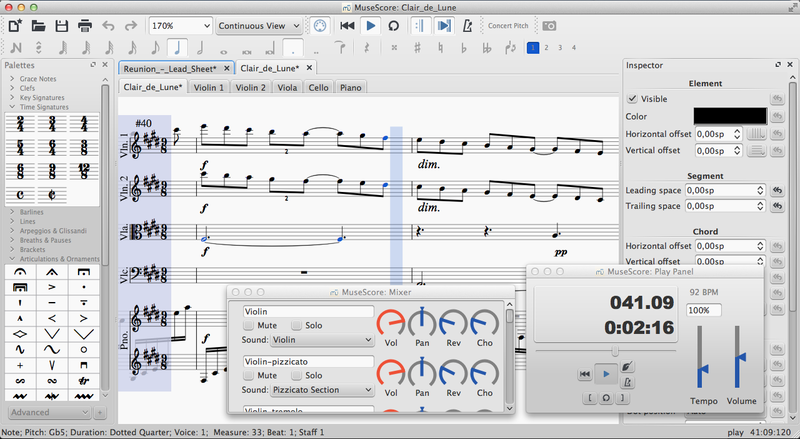 In order to make it easier to hear faster passages, software can make a great difference. Musicians in the past had to slow down spinning records, thus changing pitch, & "drop the needle" on vinyl which pales in comparison to how easy the process has become thanks to modern technology. I personally recommend Transcribe! 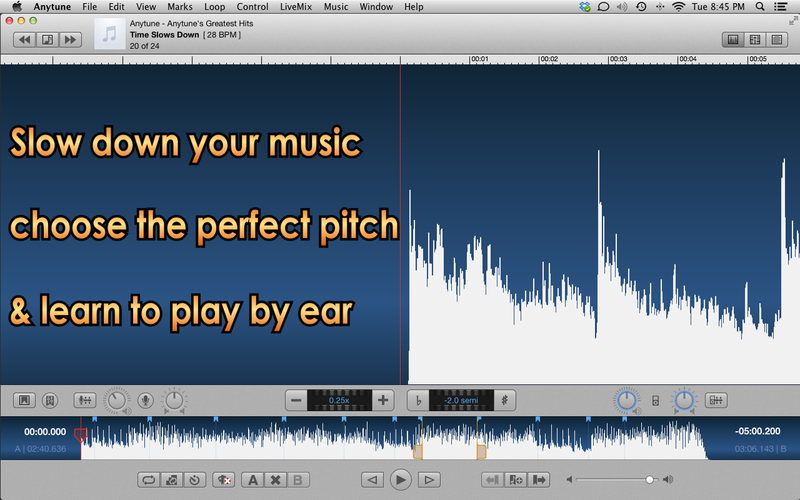 available for Windows & OSX as well as Anytune if you're a Mac user. Both have great sound quality when you slow down music, can easily loop, EQ. 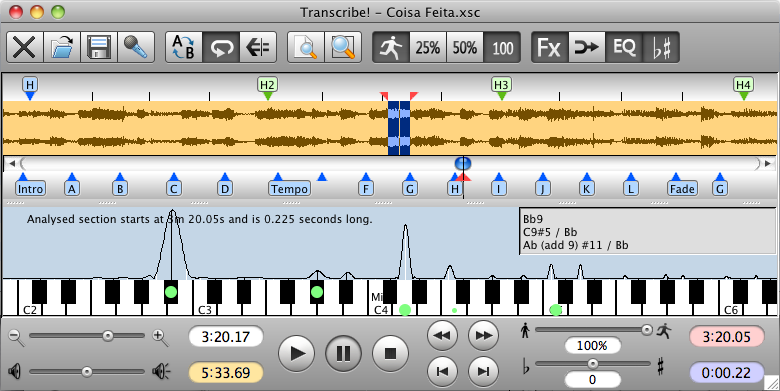 I personally don't use the other features much (such as piano roll, chord and note recognition on Transcribe! and midi & sharing features on Anytune). I use Anytune Pro+ on my iPad when I'm not in front of my computer and for the wonderful bookmarking feature and cloud backup. Should You Write It down? Before writing down anything you have to ask yourself why you're transcribing a particular piece, solo or line. Do you want to share it with someone else - rehearsals, gigs or like myself on a blog or just with friends? Would you like to improve your sight reading skills? Would you like a reference chord chart for analysis purposes? Write it down. Otherwise you'll get the most out of learning by ear by just memorizing what you want to learn. If you decide to write it down, you'll have the option to use pen & paper or software. The first option is obviously the most challenging and I would not recommend it to anyone who does not have a solid expertise and very strong foundation in music notation. The second option is by far the fastest and easiest way to transcribe. There are several companies offering notation software. The most popular is MakeMusic's Finale, followed by Avid's Sibelius. Just be aware that the latter seems to have a rather uncertain future since the development team was fired and subsequently hired by Steinberg. Although there's finally been some news about the future of Sibelius (more info HERE and HERE) it remains vague. In the meantime, the original team behind Sibelius seems to be taking the task of creating a new notation software for Steinberg very seriously. 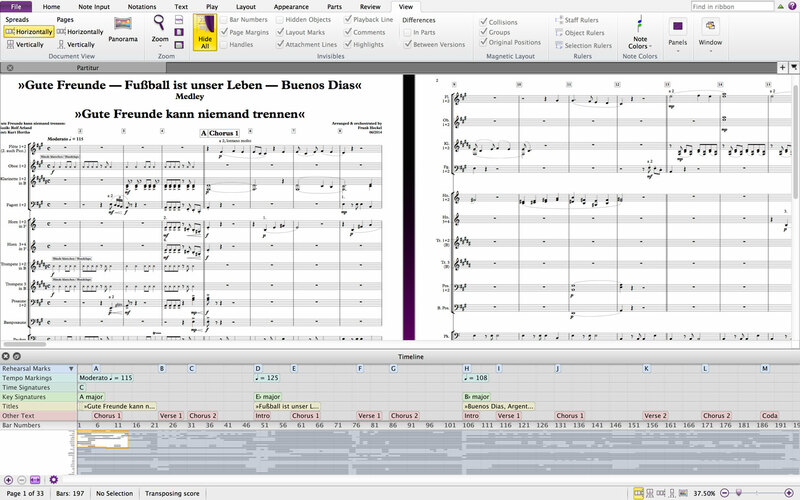 As a free alternative, I would personally recommend MuseScore which I've been using to post all content on this blog. With a very involved community, great support and the new 2.0 Beta 2 version, MuseScore is a worthy choice that can yield professional looking results. 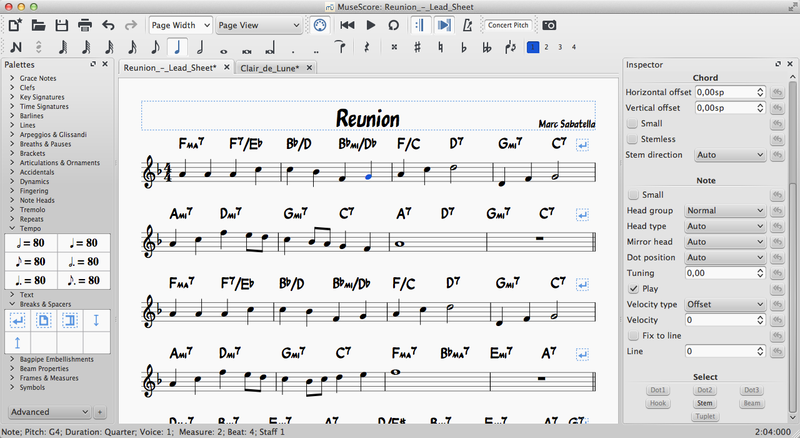 I don't use many advanced features but for the purpose of transcribing or writing lead sheets, it does an incredible job and is quite intuitive (as much as a notation software can be). Just be aware that as a Beta version, some features may require some workarounds to fully work. However, browsing the forums of the paid alternatives it seems to be the case with every notation software, beta version or not. 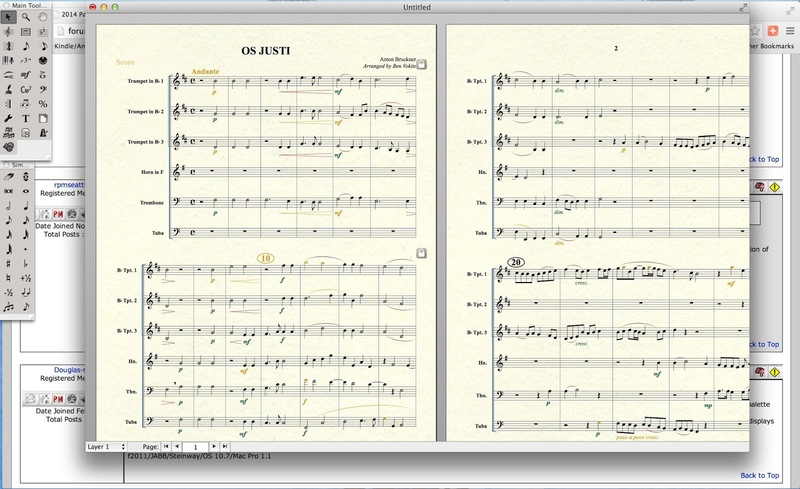 Also, some features may be broken: this is the case with PDF export in version 2.0 Beta 2 of MuseScore (although it's been fixed and will be included in the next nightly build). Still, I would recommend using version 2.0 Beta 2 as it is a great improvement over version 1.3. If you'd like to use it, you should expect bugs, but in my experience it is very stable at this stage. Please report any bug on the MuseScore forum and help make this program better for everyone! Using more than one monitor will greatly enhance your workflow but isn't an absolute necessity. I can attest to how beneficial it can be by witnessing how my productivity has increased since I started using a second monitor. What should you learn by ear? This question has several sides to it: it could mean "who should you learn from? ", "what kind of vocabulary should you learn? ", "how thorough should you be in your examination" & "how close to the original you should strive to sound like", etc. My personal view on the subject is to first just pick something you love listening to rather than whatever is supposed to be a "must learn". I'm sure most jazz saxophonists have studied some Charlie Parker at some point but maybe you don't dig Bird? No problem, just learn something else. You'll be more familiar with it, will enjoy it more, which will make it easier to learn (more on this below), and you will be developing your own personal style. That doesn't mean you should totally discard Charlie Parker either. There must be a reason why he's made such an impact on the music but maybe "now's NOT the time" and it's okay. As for the other sides of the question, they're easily addressed by using a simple concept: use the method of learning by ear as a means to an end and adapt your learning method to your goal. If you'd like to improve your time feel, concentrate on the rhythmic content and articulation. If you're trying to add vocabulary to your arsenal, focus on one line with an interesting sound or shape and expand on it. Learning en entire improvisation has its merits, mainly if you're learning ways to bring coherence to your own, or to study thematic or motivic improvisation. Yet, when you reach a certain proficiency, focusing on a few lines in order to target the concept or color you want to study is often a much better use of time. Finally, as explained above, if you're transcribing to improve your sight-reading ability, just be as thorough and accurate as possible. Figuring out a chord chart by ear is the best way to memorize it. You shouldn't learn a chord chart from a Real Book (not to mention they're unreliable and inaccurate). In order to be able to improvise on changes you need to have internalized the chord progression. Figuring out the chords by ear and memorizing them will speed up the process dramatically. When it comes to more complex song structures or more exotic chord changes, it can help to write them down in order to analyze and understand how they work. However, once you've wrapped your head around the inner workings of a tune, you should abandon the paper as soon as possible to avoid making it a crutch. There is a fantastic article written by the amazing Ben Britton on his blog, www.everythingsaxophone.blogspot.com and I'll simply recommend you check it out: "Making the Most of a Transcription". No need for me to re-hash something that's been explain so well. Some of the concepts presented in the article reflect my thoughts on the process, and resonate well with my previous article on expanding vocabulary. - If you're transcribing a chord chart, start with the bass. It sometimes is easier to hear it when piano, drums and bass only are playing. - Play it on the piano. Does it sound like what you've transcribed fits the record? - If you're trying to learn a section that's especially challenging rhythmically, it can help to import it into a DAW (Cockos Reaper is great free to try option), determining the tempo and adding a click track. - If you slow it down too much it doesn't make sense anymore. - If you're a beginner, start with something simple. Lester Young on saxophone for example. - Finally just like above there is a great resource written by saxophonist Anton Schwartz which walks you through how to best start learning by ear and transcribing. His guide is so complete that an effort to write about the same subject would be futile. Check it out! We'll be giving away two (2) licenses for Transcribe! (Windows, MacOS, Linux) and three (3) licenses for Anytune (Mac or iOS). The rules of the contest are simple; please follow them or you'll risk getting disqualified! 2. what kind of subject / content you'd like to see featured in this blog, or see more of, in future articles. To comment, please use an account I can contact you through. (I won't be sending anything other than a notification if you've won). Submission window will close on Saturday 01/24/2015 at 11:59PM Central Time Wednesday 01/28/2015 at 11:59PM central time. I will then pick winners through www.random.org and contact them in order. This means that if licenses for app X have all been given out and the next person in line made the choice of app X, I will skip nominees until I reach one who picked a license for app Y. If I can't contact the first nominees on the list, or I don't get a reply within 48H, I will pick the next person down the list. Make sure to add thediligentmusician [AT] gmail [DOT] com to you address book. Congratulations to dkky and Devin who won each a license for Transcribe! Put it to good use guys! Do you mean analyzing the chords, or analyzing the transcription of a solo over the changes? Thanks. Re: Italian music. Any suggestions? 2. Ear based chord digestion. A lot of lessions I've seen are bottom up approaches to chord study, I don't recall coming across the opposite and would love to try an exercise. So recognizing chords and chord progressions by ear as opposed to chord theory (how chord are constructed and put together)? 2. Ear transcribing chords and progressions. And key signatures. 1. This would be great for my college ear training courses. 2. Would also be a big help with transcribing some sax solos. Sorry I would like Transcribe for OS X forgot to put it in my post. Hey could you please comment again with the right formatting?